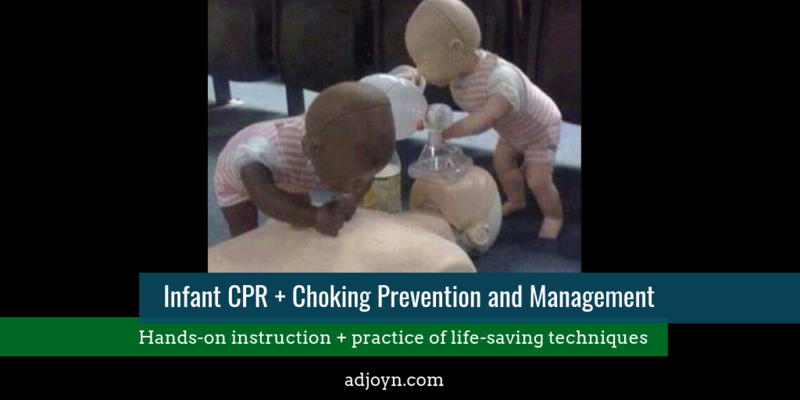 This class provides hands-on instruction and practicing of Infant CPR as well as choking prevention and choking management. The session is designed for expectant and new parents, grandparents, babysitters, and anyone caring for a baby under 12 months of age; babies in arms are always welcome. No certification is provided as part of this class. Registration is required. Find out more about our other babywearing services and car seat checks!